Steve Canyon There are 5 products. Collectible marble sign Steve Canyon, Milton Caniff: Steve Canyon in China. Limited edition of 29 copies, hand-numbered from 1 to 29. 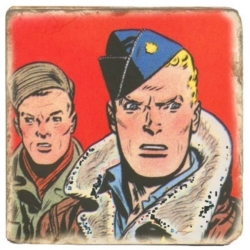 Collectible marble sign Steve Canyon, Milton Caniff: Good Luck Steve!. Limited edition of 29 copies, hand-numbered from 1 to 29. 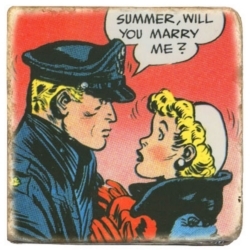 Collectible marble sign Steve Canyon, Milton Caniff: Summer, will you marry me?. Limited edition of 29 copies, hand-numbered from 1 to 29. 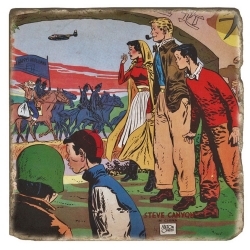 Collectible marble sign Steve Canyon, Milton Caniff: Ready at the Base. Limited edition of 29 copies, hand-numbered from 1 to 29. 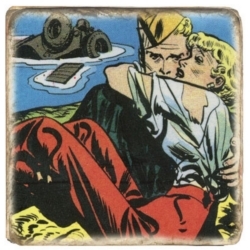 Collectible marble sign Steve Canyon, Milton Caniff: in the arms of Steve Canyon. Limited edition of 29 copies, hand-numbered from 1 to 29.